Why Do I Need A Statue? What Is The Father Of Brzee Statue? 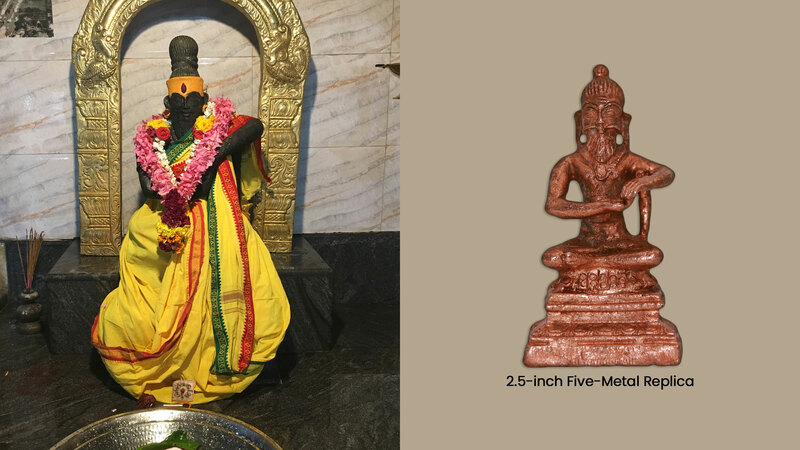 We created this handmade, first-of-its-kind statue of Vishvamitra as a replica of his statue at his Vijayapati (land of victory) powerspot – the only temple dedicated to him in the world. 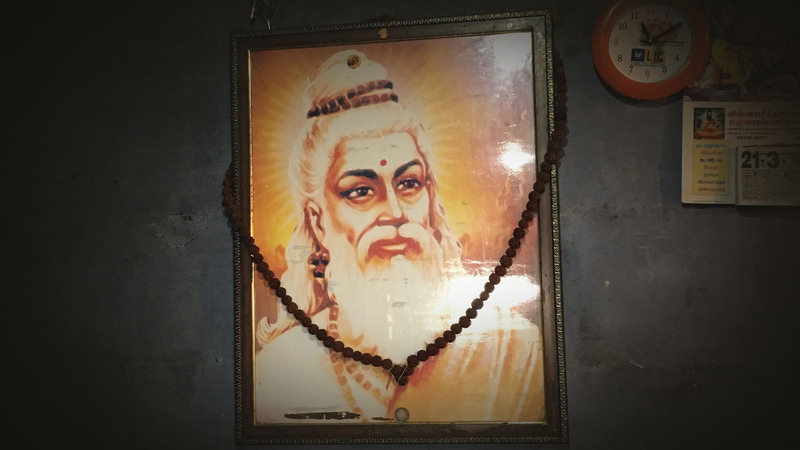 Vijayapati is where Vishvamitra is said to have meditated for thousands of years to attain the status of “Brahma Rishi”- the highest honor for a saint. It is also the famous location where the avatar Rama came to destroy a demoness to protect Vishvamitra so he could meditate. We chose this statue to replicate because it is connected to this premiere powerspot, and because it is the perfect form to hold the energy of this great being. How is This Statue Energized? The statue is energized with the Vibhuti, or sacred ash from Vishvamitra’s statue at Vijayapati. This vibhuti is the carbonized, or materialized life-force energy of Vishvamitra. By energizing the statue with this Vibhuti in a special way, the energy from Vishvamitra’s main statue at Vijayapati is transferred to it. 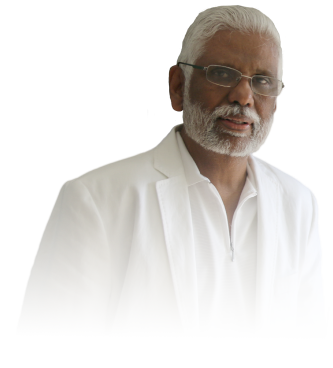 Because it is in the same form and also made from a special composition of metals called “Panchalogam” or “five-metal,” it is easily able to retain the energy. What Can This Statue Do For Me? Vishvamitra is a saint of the highest order (Brahma Rishi). 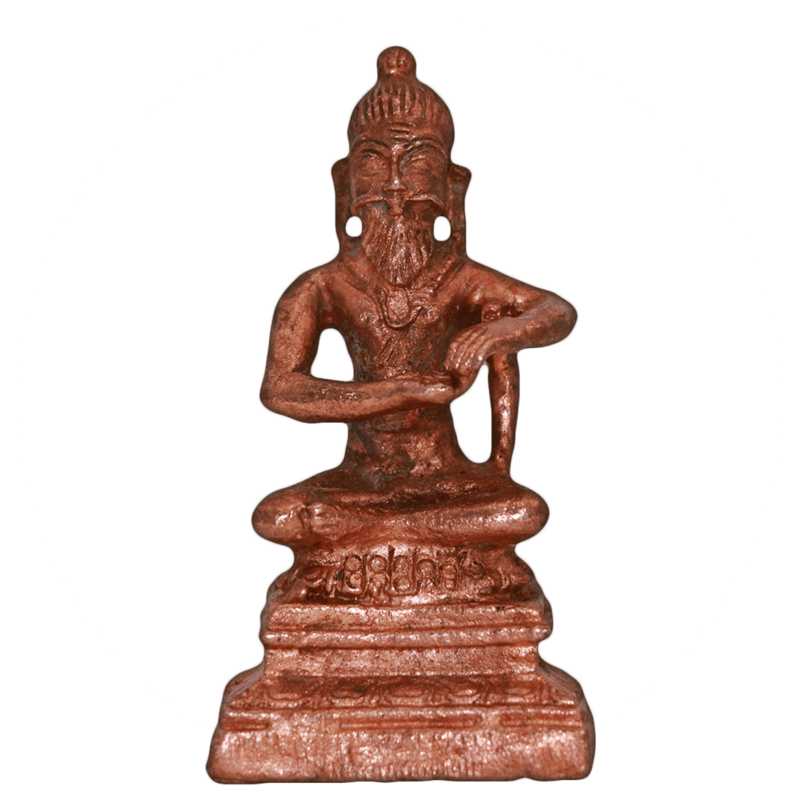 He is the Father of the Brzee mantra, Sun Gayatri mantra, and is considered one of the most compassionate beings to have ever lived. He represents utter victory and spiritual and material perfection. This statue puts you into direct contact with his energy which you can receive through a subtle osmosis process simply by being in its presence. How Do I Use the Statue? The best way to use the statue is to treat it as if it is alive. 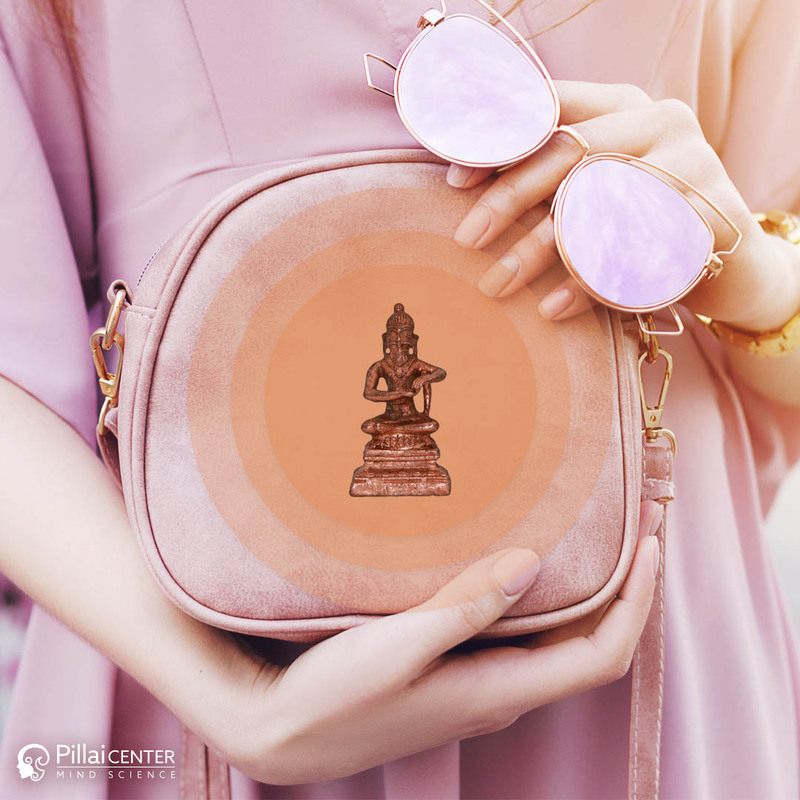 Being just 2.5″ tall, it is easy to carry around with you and surround yourself with Vishvamitra’s energy and protection. You will receive detailed instructions on how to easily keep the statue energized and grow its power. When Can I Receive Mine? We are pre-energizing them in small batches to be available for shipping two to three weeks after you place your order. 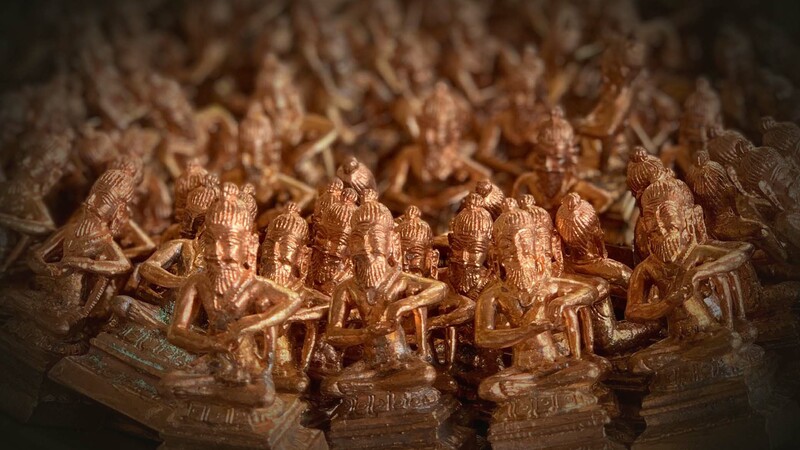 Before they are shipped, they are kept in a sacred place in India where we perform daily ceremonies to invoke the Divine.